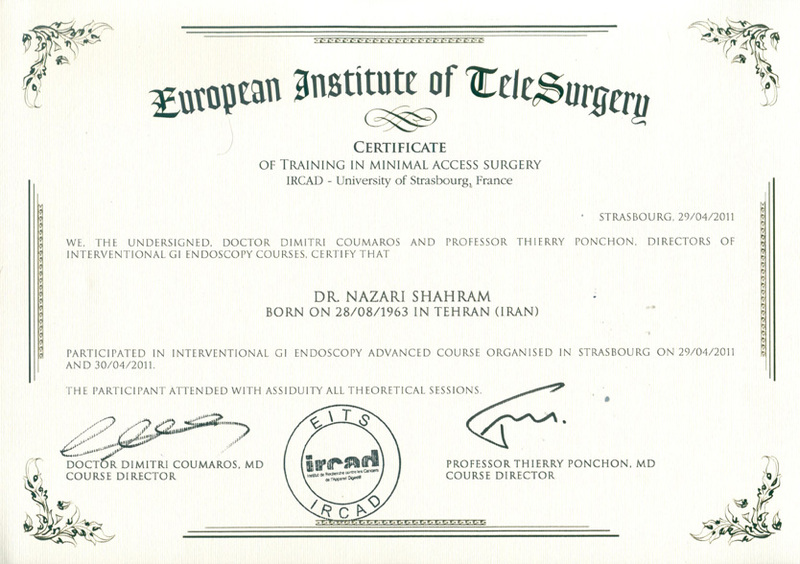 European Institute of Telesurgery, Strasbourge, 2015. 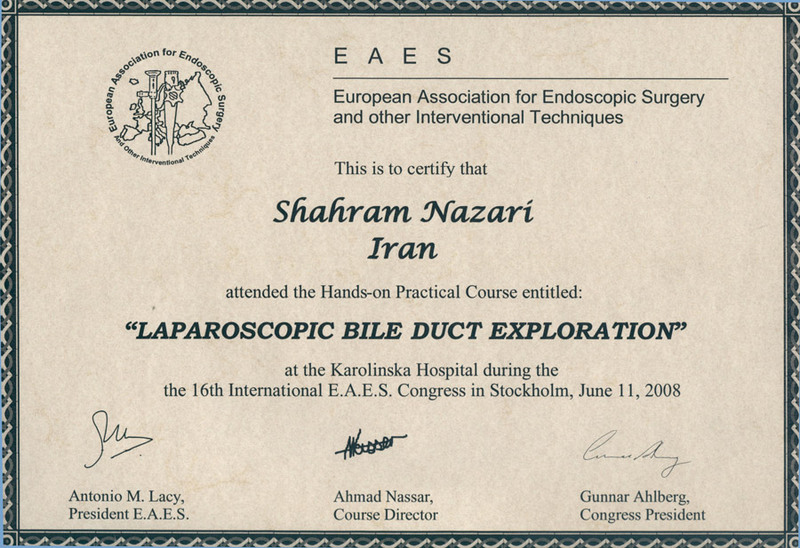 Karolinska Hospital، 2008, Stockholm, Sweeden. 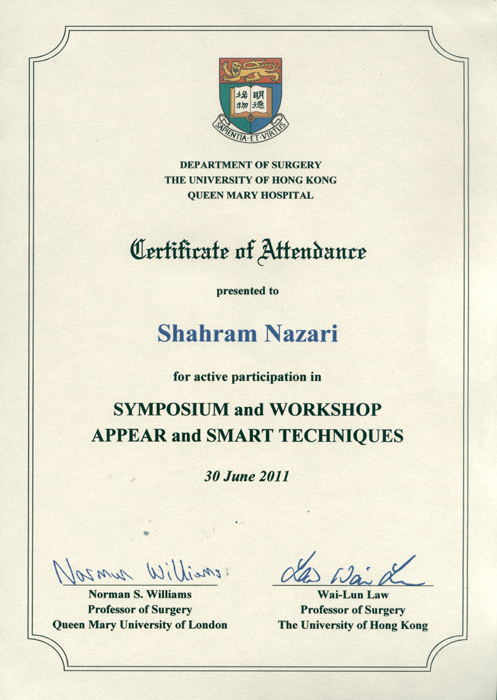 Appear and Smart Techniques,Queen Mary Hospital, The University of Hong Kong,2011. 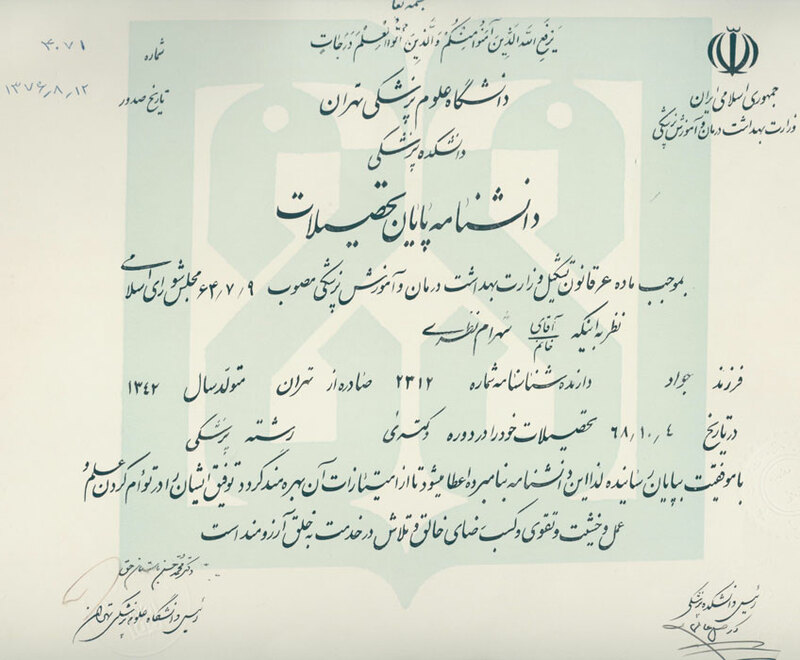 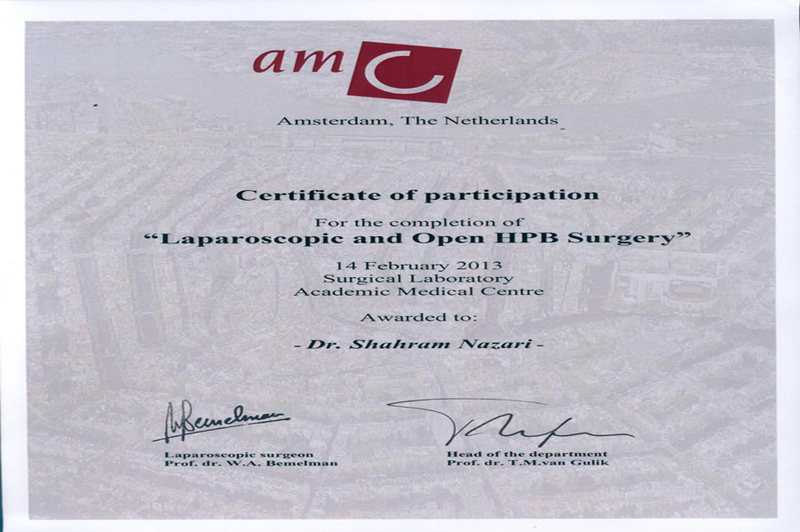 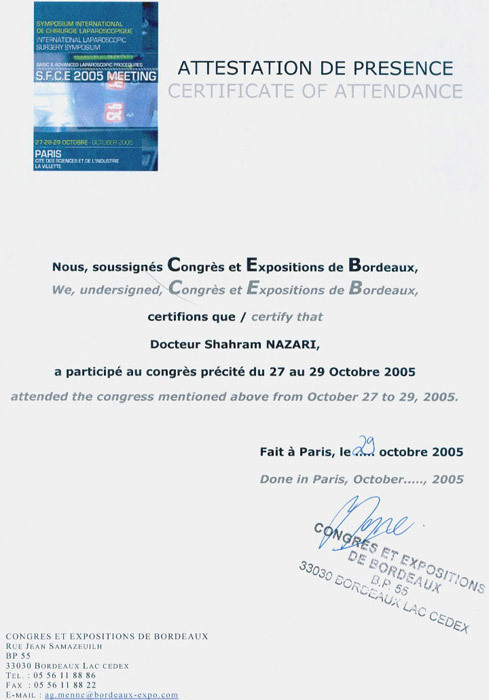 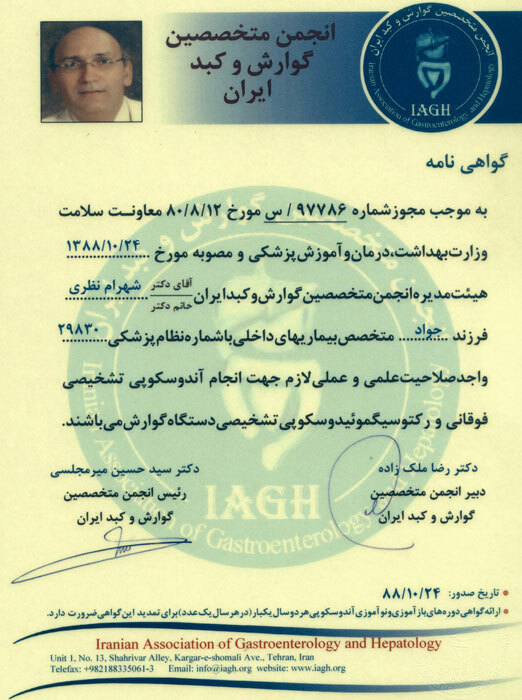 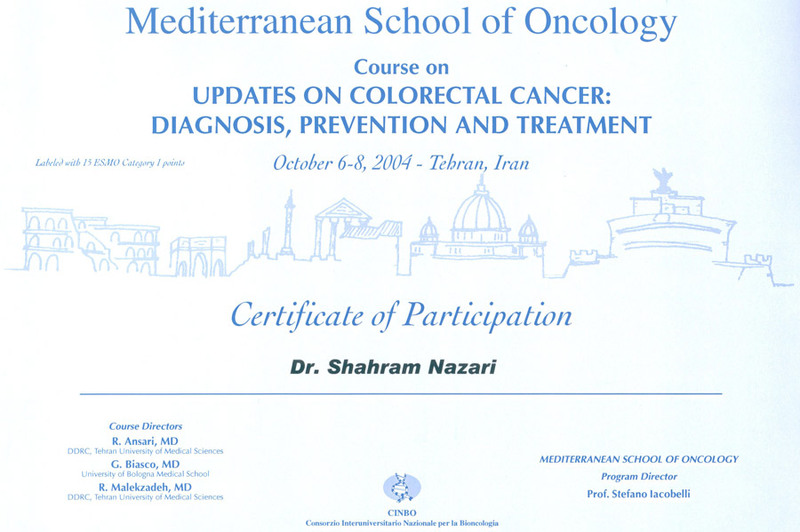 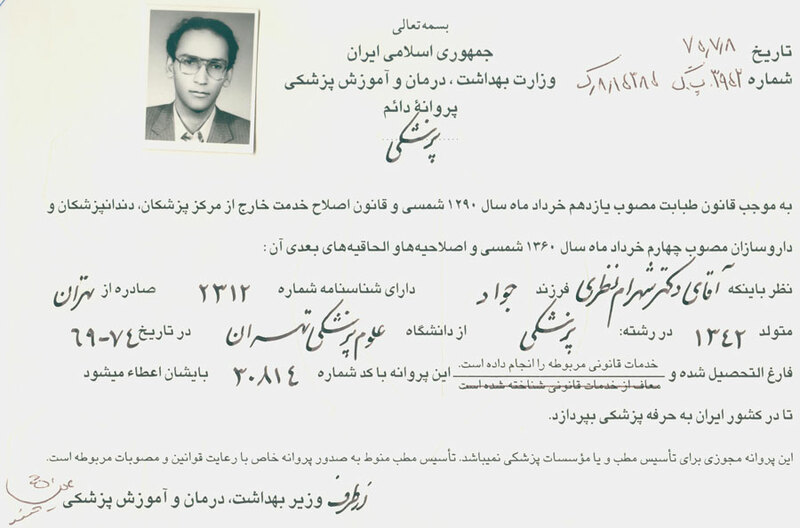 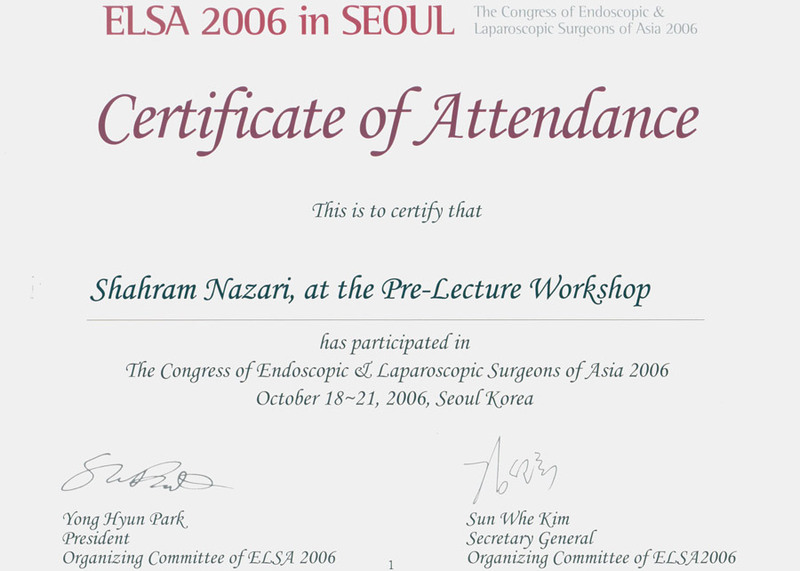 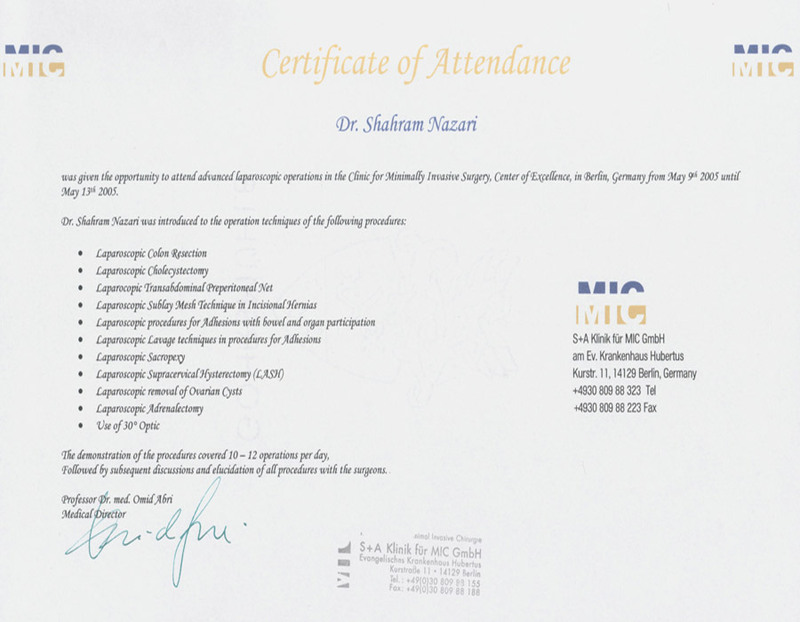 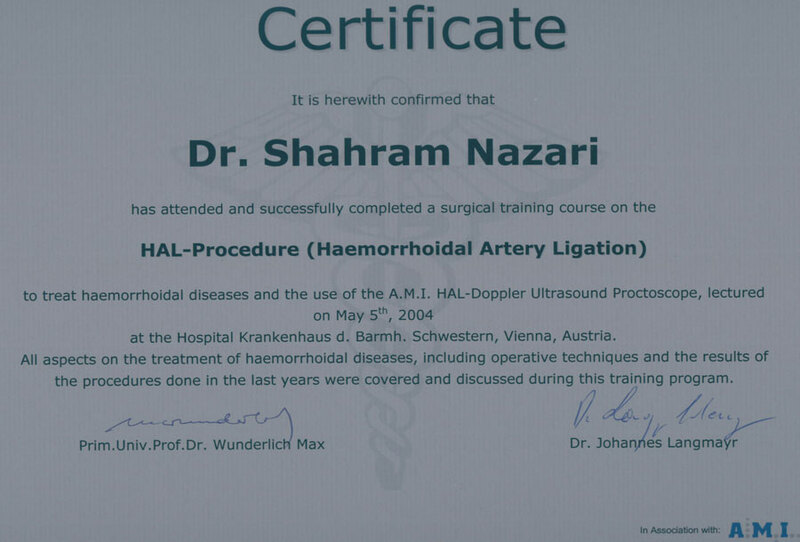 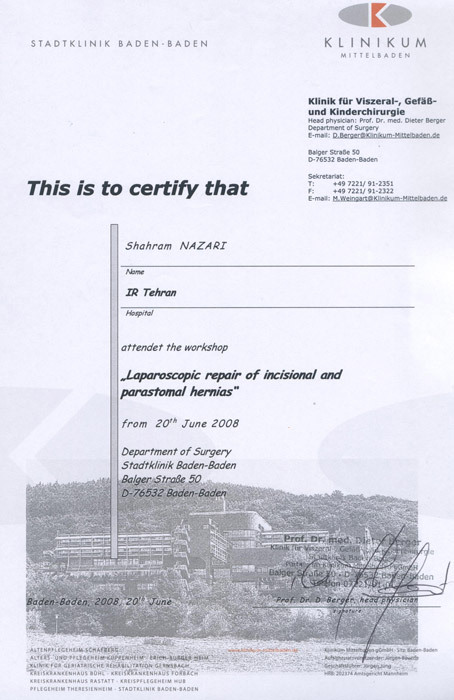 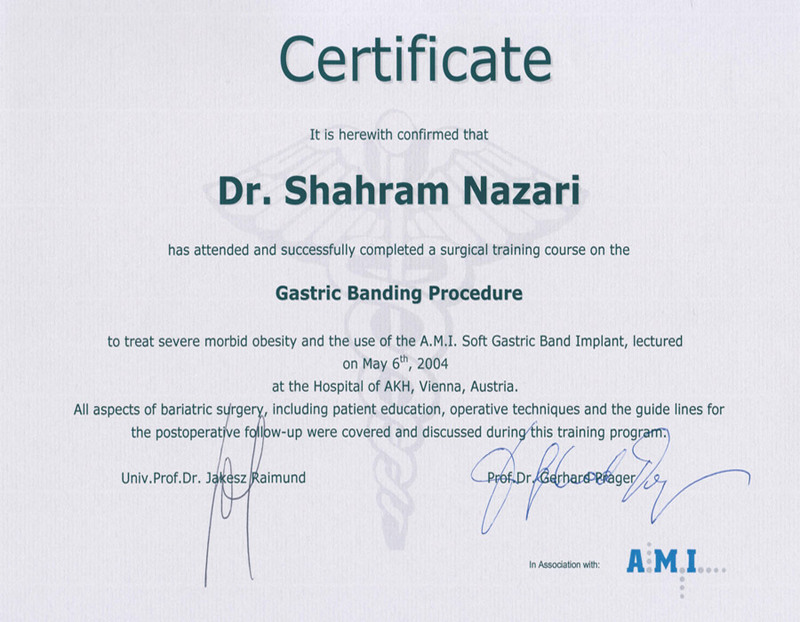 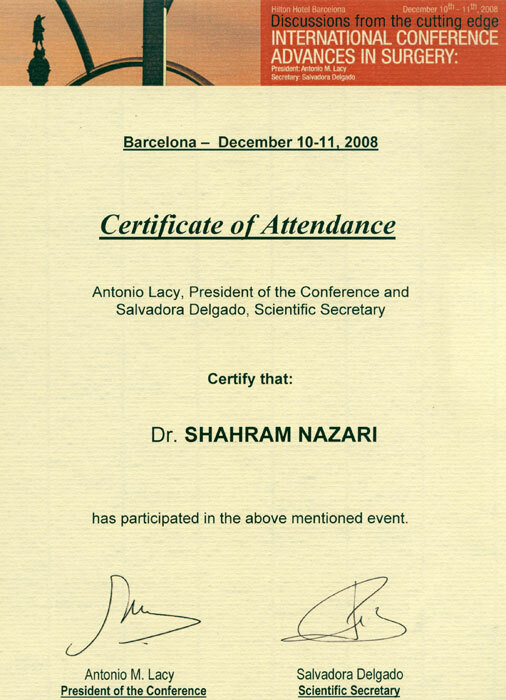 Dr. Nazari received this license from Iranian Association of Gastroenterology and Hepatology in 2009. 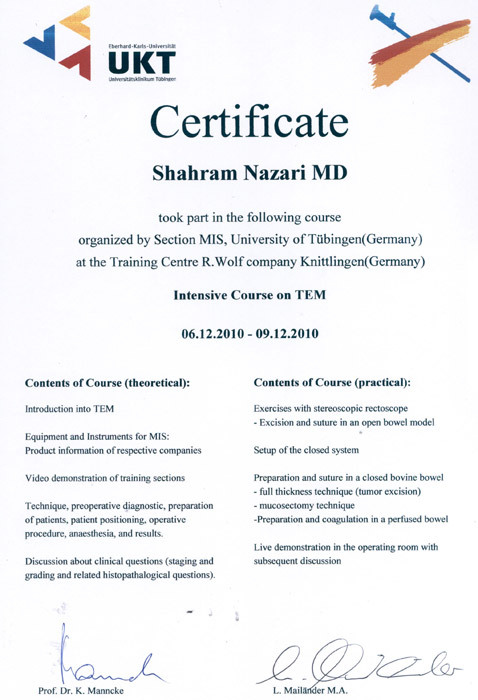 Tubingen University، Knittlingen, Germany, 2010. 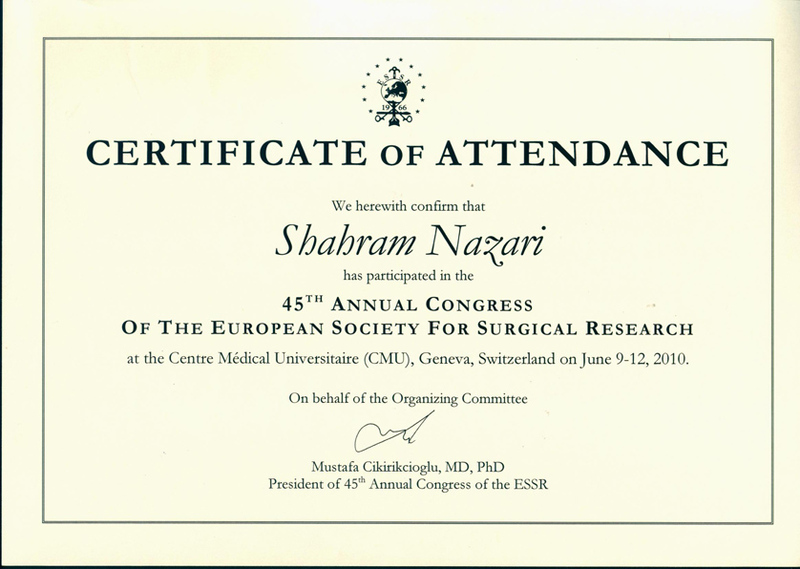 45th Annual congress of ESSR, Geneva, Switzerland, 2010. 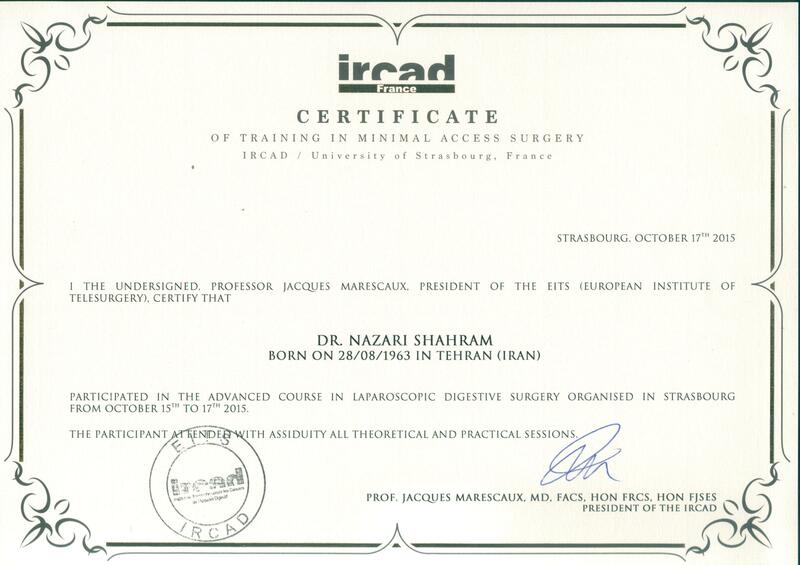 European Institute of Telesurgery, Strasbourge, 2011. 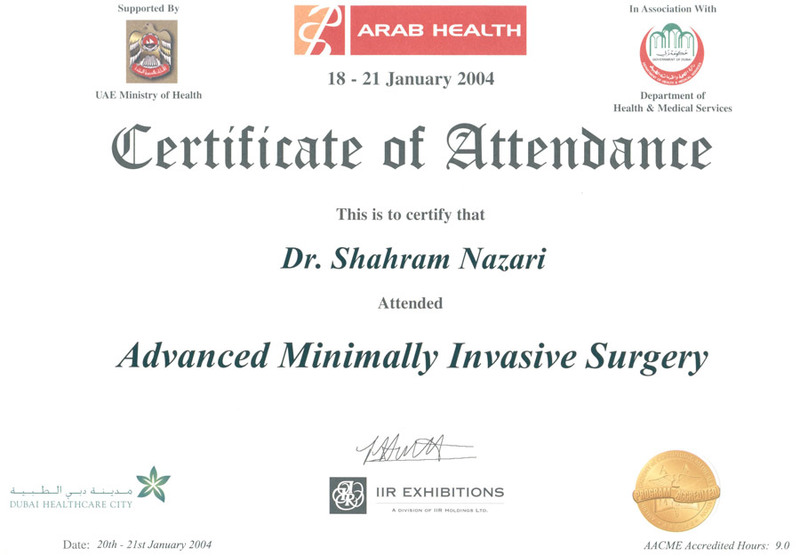 The American Academy of Continuing Medical Education, Dubai, 2004. 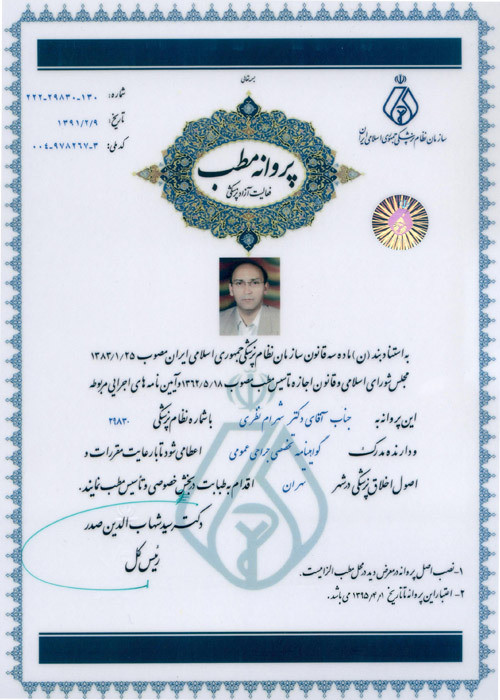 Dr. Nazari received permanent medical license with number 30814.